Non-resident importers (NRI) and resident importers share, for the most part, the same rules, regulations, rights and responsibilities concerning Canada Customs. As the name suggests, non-resident importers (NRI) are companies that, for the most part, do not have a physical presence in Canada, but for duties and tax purposes, are responsible for goods entering Canada. 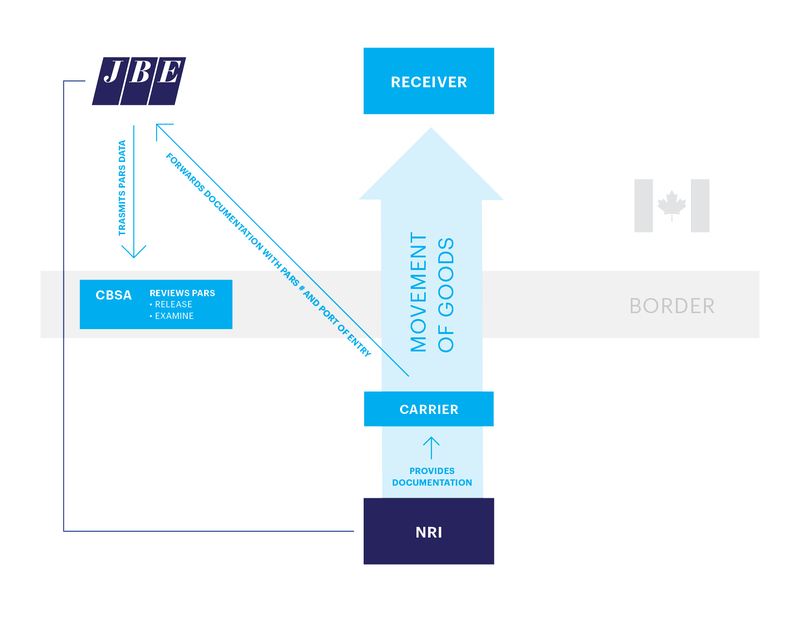 J.B. Ellis is an industry leader providing non-resident importers with the kind of assistance they need to enhance their business opportunities in Canada. Now you can ship your product direct to your customers in Canada – hassle free! The NRI program allows you to have full control over the supply chain – no distributor needed – so your product can reach your Canadian customers faster than ever before. The customer will find their purchase as easy as buying domestically.